The town of Cachan is located to the south of Paris, 2km from the Porte d'Orléans and the Porte d'Italie on the Paris ring road and 5km from the centre of the capital. The Cachan campus is well served by public transport. By RER, it takes about 20 minutes to reach ENS Paris-Saclay from the centre of Paris and the Latin Quarter, 30 to 45 minutes from Orly airport and an hour from Roissy Charles de Gaulle airport. The RER B station is located at 129 avenue Aristide Briand, Cachan. 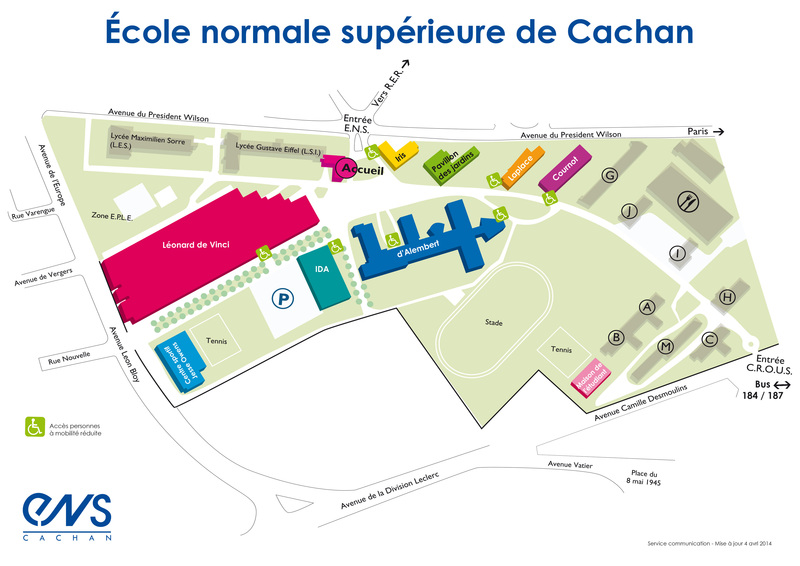 ENS Paris-Saclay is at 61 avenue du Président Wilson, Cachan. 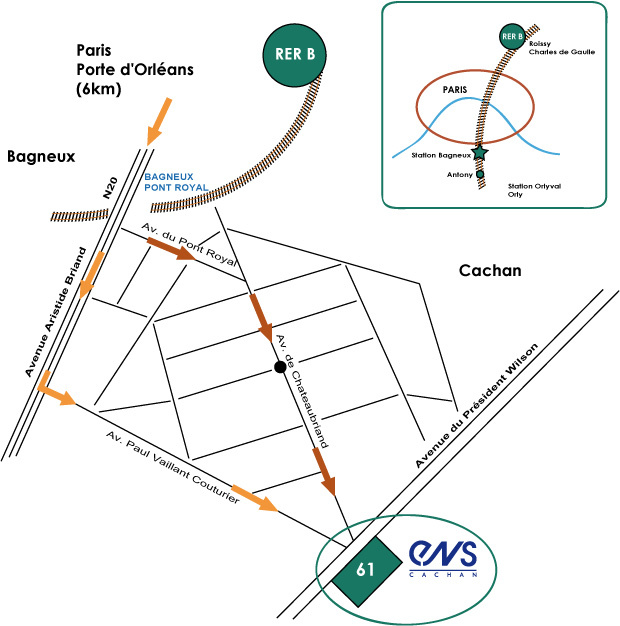 ENS Paris-Saclay is approximately 700m from Bagneux station on foot. Whether you want to return to Paris, go to a neighbouring town or get around Cachan itself, there are efficient means of transport available. What's more, pedestrian and cycle links mean you can get where you’re going while respecting the environment. The conurbation authority of Val de Bièvre (CAVB) has set up a free, regular Valouette network, which includes the Cachan "shuttle" and goes to all the towns of the conurbation. The network consists of seven bus lines operated by the RATP.